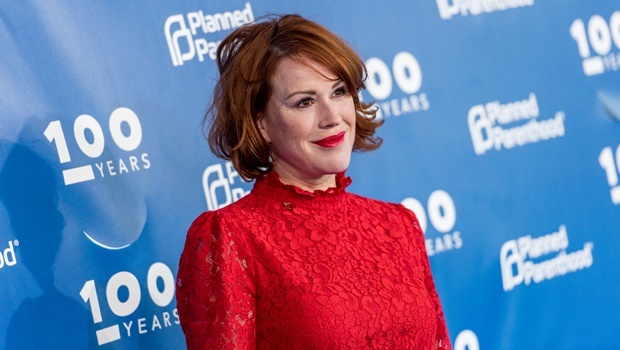 Molly Ringwald looks back on her roles and making movies with some questionable scenes. Is it not time we reflect on our work in the same way? Molly Ringwald, star of iconic ‘80s movies like The Breakfast Club and Sixteen Candles, recently wrote an essay for The New Yorker in which she talks about revisiting the art she made in her teens and early 20s in the age of the #MeToo movement. In the essay she talks about how she watched The Breakfast Club again with her daughter a few years ago when she was 10 and how Molly cringed during a few of the scenes that were especially explicit. “At one point in the film, the bad-boy character, John Bender, ducks under the table where my character, Claire, is sitting, to hide from a teacher. 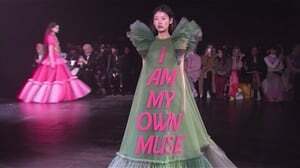 While there, he takes the opportunity to peek under Claire’s skirt and, though the audience doesn’t see, it is implied that he touches her inappropriately. Bender is awful to Claire during that entire movie and it’s also implied that he touches her under the desk, but he’s never taken to account for it. Claire is upset by it, but Bender laughs it off and his treatment of her throughout the rest of the film is awful, but (spoilers) he somehow still gets the girl. READ MORE: Drake’s ‘Nice for What’ is a celebration of the independent woman, but does that redeem him? I remember this scene very well. I’ve watched The Breakfast Club like 20 times – it’s one of my favourite movies of all time. But I was always bothered by that scene, even before I knew about important things like consent and sexual harassment. Bender is awful to Claire during that entire movie and it’s also implied that he touches her under the desk, but he’s never taken to account for it. Claire is upset by it, but Bender laughs it off and his treatment of her throughout the rest of the film is awful, but (spoilers) he somehow still gets the girl. Bender’s alias in the group’s letter as The Criminal is correct because what he does to Claire is not just innocent ‘boys will be boys’ fun, but actually harassment. The first few times I watched the film, I didn’t think much of Bender’s behaviour, but I also didn’t question it due to my own lack of wokeness (I was less than socially aware at this point). Now that I’m older and wiser I can see the problems with one of my favourite movies and how maybe telling an audience of impressionable teens that it’s okay to touch someone inappropriately without their consent because it’s part of your bad boy persona, is problematic. "I was well into my thirties before I stopped considering verbally abusive men more interesting than the nice ones." I had to address the fact that a movie I loved had big flaws, but I never considered how it must feel to look at this film and others like it and cringe because you’re a part of the original team who made it. Molly questions her role in this film and other John Hughes projects. She also asks these questions of her fellow actors who also took part in the art. Molly also talks about how she got John to take out a scene in The Breakfast Club’s script where Principal Vernon spies on a gym teacher swimming naked in the school pool. She also mentions later in the piece about how a gay, black acquaintance of hers thanked her for her role in those movies at a party once and she couldn’t understand why since the films in question have almost zero people of colour in them and there’s no LGBTQ representation. But he cleared it up by saying that the reason The Breakfast Club was important to him was because he didn’t feel alone. That there were other kids who were dealing with similar issues to his own even if they weren’t gay. But now that Molly has questioned her role in films like these, is it not time we start to question the art we enjoy and the products of our work too? Now I completely understand this standpoint. These movies were important to me because they took teens and their issues seriously, even if I watched them after I was a teen myself, I still identified with these characters and none more so than the Basketcase from the Breakfast Club who was played by Ally Sheedy. While I wasn’t exactly like her, I knew what it was like to feel like an outcast and be just a little bit too weird for the popular kids to handle. So this movie has always had a place in my heart, so questioning its ethics in 2018 when it was made over 30 years ago is hard, but necessary – and even more so when you’re a part of the art in question. These films have helped millions of ostracised teens and young adults feel like they weren’t alone in the world, but they also taught young boys that it’s okay to trade a girl for underwear like in Sixteen Candles, or to have a woman do your bidding and be objectified like in Weird Science. Do we do things every day that are inclusive of a diverse range of people? Do we cater for all communities? Is there anything I have written or produced in the past that might need revisiting? Ask yourself these questions and then try to rectify your behaviour. Apologise for your past mistakes and see where you've gone wrong. Identify your problematic issues and ask the people you may have been hurt to forgive you and to tell you if you veer off the path again. It’s time to check yourself and consider what you consume and produce. It’s time to be a better person.